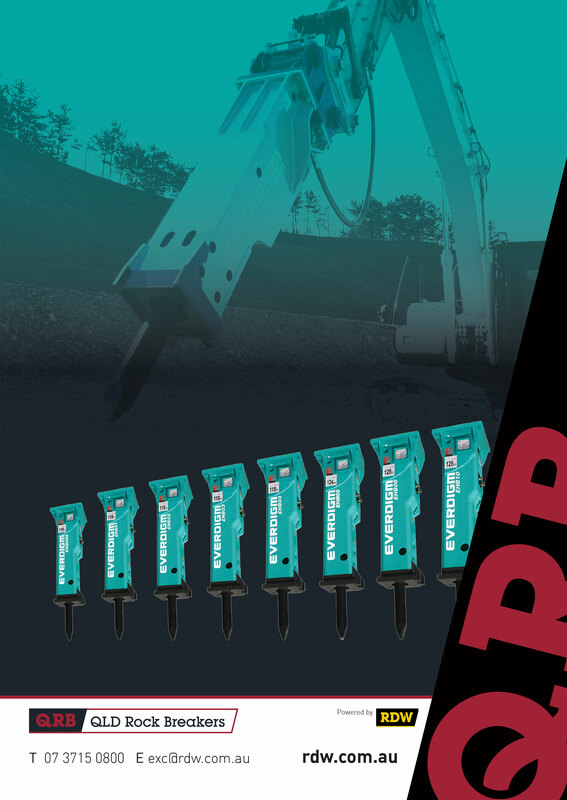 Enter our QLD Rock Breaker competition and go into the draw to WIN a brand new premium Everdigm EHB02 Rock Breaker. To be drawn during Diesel Dirt and Turf Sydney, May 2019. *Terms and Conditions: To be eligible, entries must be received via the QLD Rock Breakers Face Book link or RDW web page www.rdw.com.au , completing and returning the information required. Participants must be over 18 yrs in age, Residing in Australia. Competition entries will be accepted between 8am Feb 18th and 3pm Saturday May 4, 2019. AEST. The draw and prize on offer is 1 (one) Everdigm rock breaker. Model EHB02, suits 1 - 2.5T excavator, valued at $6,200.00 AUD. Fitment and set up on excavator, will be responsibility of winner. *Terms and Conditions: To be eligible, entries must be received via the QLD Rock Breakers Face Book link or RDW web page www.rdw.com.au , completing and returning the information required. Participants must be over 18 yrs in age. Competition entries will be accepted between 8am Feb 18th and 3pm Monday May 4th, 2019. AEST. The draw and prize on offer is 1 (one) Everdigm rock breaker. Model EHB02, suits 1 – 2.5T excavator, valued at $6,200.00 AUD. Fitment and set up on excavator, will be responsibility of winner.